I guess ‘RS’ stands for ‘roofless sports’ car, and posing for photos the timeless elegance of the Audi TT styling is very appealing. Even in convertible form, the crisp edges of Audi’s latest design themes deliver a very pleasing look. Pity about the 'Primer Grey' paint job! 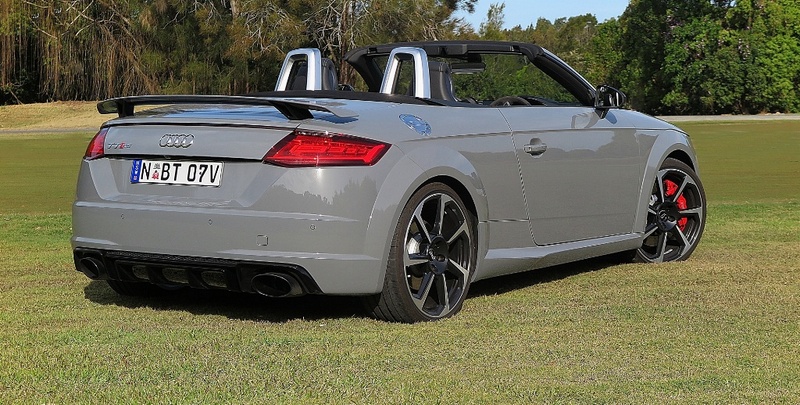 However, and my friends at Audi Australia will hate me for saying this – as good as this car is, I would definately have its VWAG family sibling from Stuttgart in my driveway before I would choose the Ingolstadt Ingenue. 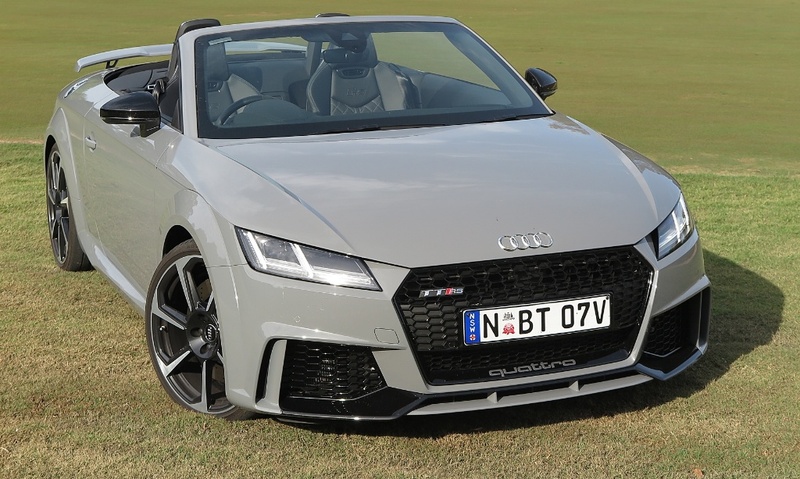 So, having dispatched the Audi TT RS convertible to the also-ran pile, how does it perform? The answer is, it goes really, really well. The 2.5L turbocharged five cylinder produces prodigious grunt, and the 7-speed DSG is as slick as you’d expect. The handling is exceptionally precise, but that’s not surprising when you add in the Quattro AWD feature. 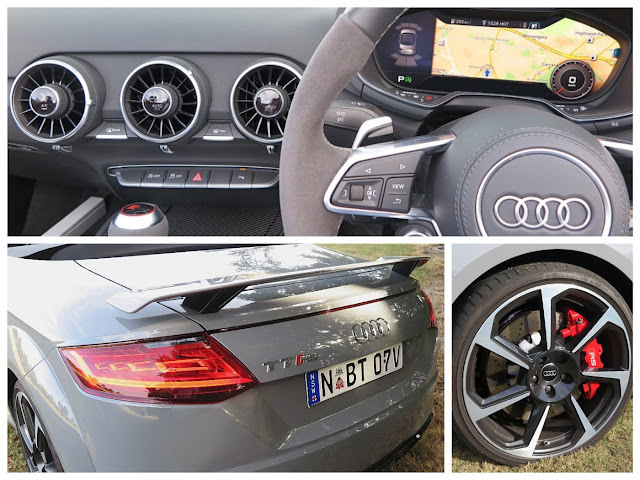 The Audi TT RS tracks on-line superbly, and the reaction to rapid steering inputs at high speed delivers predictable and confidence-boosting response. 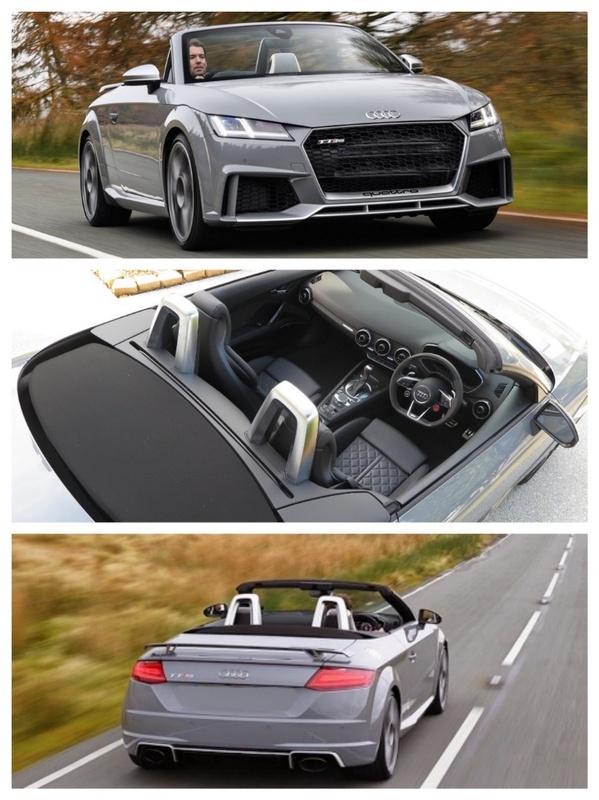 So, it goes, it handles, and it has all the bells-and-whistles, but why am I not in raptures over the TT RS? The reason is maybe it’s too perfect, to be exciting. The Audi is planted well on the road, tracks impressively, goes quick, but overall, I find the Porsche Boxster 718 a much more satisfying sports car experience. 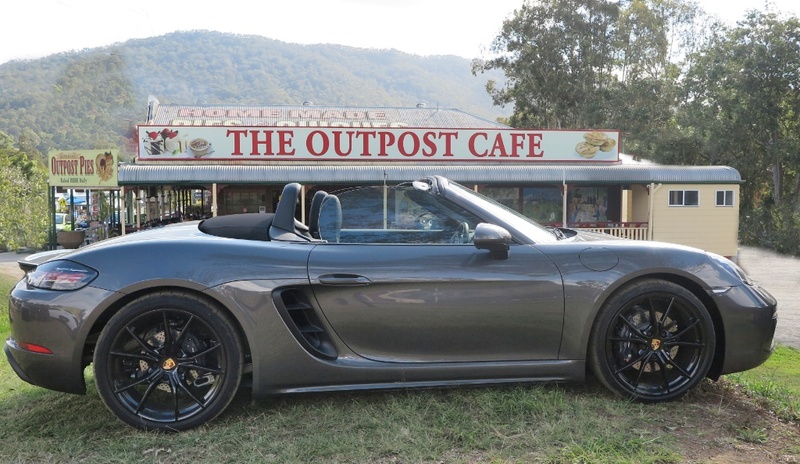 Some say you buy a Porsche as much with your heart as your head, and for me the Porsche Boxster 718 is the car I would choose over Audi’s HOT TT. Despite a lot of criticism of Porsche’s new turbo four - it's the driving experience, the performance and the more aggressive styling of the 718 that makes it a clear winner for me. I think the lighter weight of the 718's new powertrain, and overall weight distribution is an important factor in how the 718 feels at high speed. The other factor is the knowledge that this car IS a Porsche, and you expect it to be thrilling to drive, and designed to deliver the responses to driver inputs that Porsche has been delivering throughout its history. The Audi TT RS is an extremely competent car, it’s just a pity that the newest family member of the VW Group happens to be Porsche. 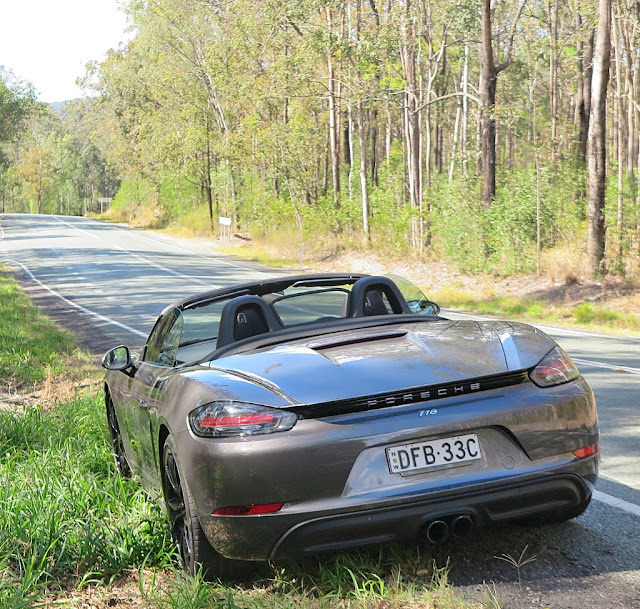 Oh, and I forgot to mention that here in Australia the 718 is considerably cheaper (and I mean a lot cheaper) than the Audi. Kia is my favorite car,I am glad to read about it's specification specially about its stinger which has a twin turbo,it makes it super cool.